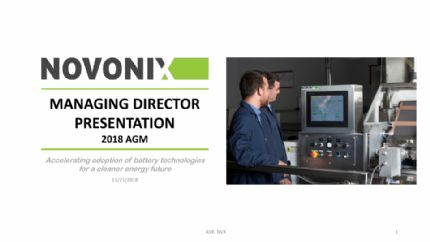 Brisbane, July 13, 2018 AEST (ABN Newswire) - ASX-listed NOVONIX Limited ( ASX:NVX) ("NOVONIX" or the "Company") hereby provides an update relating to the trade sanctions between the USA and China regarding graphite imports to the USA. - The USA has announced the imposition of a new 10% tariff on imports of natural and artificial graphite from China. - Further investigation of the implications of the tariff changes for its current activities and for new opportunities in underway. As foreshadowed by the United States President in the media in recent weeks, on 10 July 2018, the Office of the United States Trade Representative (USTR) released a list of Chinese exports that will now face a new 10% tariff. In recent years, the global graphite market has experienced growth at a substantial rate, mainly driven by the increasing demand from expanding downstream sectors including electronic devices, energy storage systems and electric vehicles. China has dominated the global graphite market with the world's highest graphite production and graphite exports during the past decade. 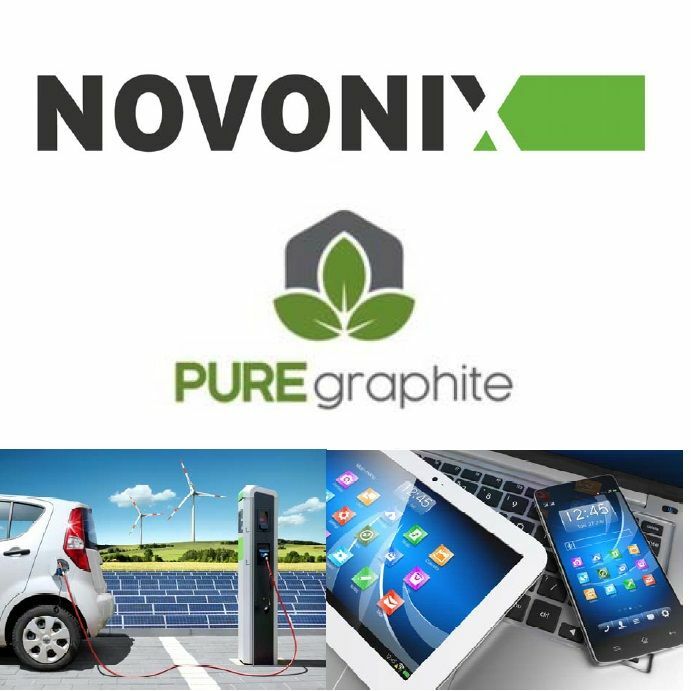 The changes announced this week to the tariff regime for natural and artificial graphite imports to the USA from China appear to be positive for NOVOINIX Limited's graphite-based anode materials business activities, including its PUREgraphite anode material Joint Venture based in Chattanooga, Tennessee, USA, along with the Company's 100%-owned large-scale 18%- grade natural graphite deposit located in, Queensland, Australia. The Company is in undertaking further investigations of the implications of the tariff changes for its current activities, and for new opportunities.